In one procedure, the product is injected in to three areas: face, neck, décolleté! It’s important not to go wrong, but to choose the most appropriate procedure for your facial skin! Over the years, lines become visible on all faces. Not only does your face become more wrinkled, but the contours and shape also change, you experience loss of firmness and elasticity. The the skin ages for a variety of reasons, there is no answer why. Reduction of the youthful appearance of the face is also a natural phenomenon, our skin becomes thinner and dries. 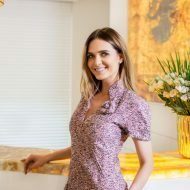 The modern beauty and aesthetic medicine industry offers a number of solutions to slow down the ageing process, and the range of choice is really great – from various natural vitamins to special, medicinal procedures for skin nourishing, facial oxygen therapy, botulinum toxin or hyaluronic acid injections. It’s very important not to go wrong, but to choose the most appropriate procedure, and as we are constantly sending Era Esthetic professionals for international training, we are always looking for the best, most personalized solution to ensure your skin is healthy and beautiful! What is collagen and what is its importance for our bodies? Collagen is a protein naturally synthesized in the human body. This protein is one of the key elements of the skin, accounting for 70% of the total skin mass. Scientists say that from the age of 25, the body’s collagen levels drop by about 2%, and after 30 years of age, we lose about 15% of the collagen we had. It is this element that is very important for the ageing process, and its decrease leads to the appearance of wrinkles and loss of skin elasticity. Harmful habits (smoking, alcohol, caffeine). Quite a lot of clinical trials have shown that harmful habits weaken skin barrier functions and accelerate the process of wrinkle formation. What is the unique about the procedure and the NITHYA collagen used in it? We are the first in Lithuania to offer this unique procedure – 3-D skin restructuring, which is based on collagen – a protein, naturally synthesized in the human body. This is a procedure without analogues, in which the product (Nithya I-type collagen) is injected into the deep layer of the dermis and stimulates the fibroblast to produce new, elastic, type-III collagen fibres. During the procedure, the collagen stimulator is applied not only to the area of the face, but also to the neck and décolletage area. 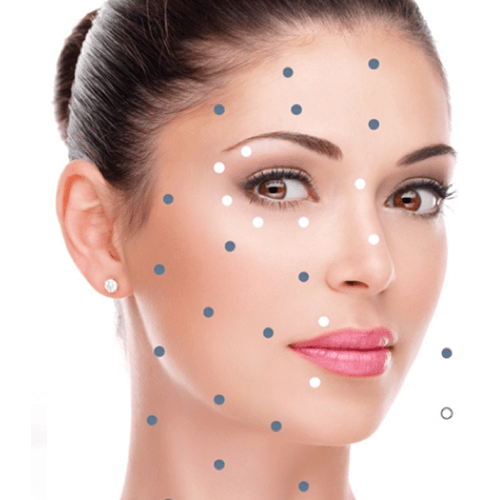 The Nithya collagen injections target 3 different areas! It is a major benefit to you. The structure of the collagen molecule, its physical and chemical properties, and its amino acids are the same as the collagen in our body, which makes it completely safe and means no additional product testing for allergies is required. After the procedures, the skin becomes brighter, thicker, firmer and more uniform. The procedures reduce fine lines around the eyes, lips, facial wrinkles, and restores contours of the face and the usual volume of face skin tissues. The first changes in the skin are visible 16 days after the procedure!